Based out of Columbia, South Carolina, the Continental American Insurance Company provides emergency health coverage and high-risk insurance policies to consumers in 47 states. The Continental American Insurance Company sells insurance products that are designed to appeal to those with critical and severe medical conditions. More specifically, this company sells supplementary medical coverage to help pay for the cost of critical care treatment. Because patients with pre-existing conditions can purchase policies, Continental American Health Insurance’s premiums are higher than traditional health insurance. Accident and disability insurance products are also offered by the Continental American Insurance Company. Participants are able to buy customized insurance policies based on their needs, health profiles, and income levels. Employers are able to purchase secondary disability and critical care policies for their employees from Continental American Insurance Company. Review customized health insurance quotes by entering your zip code! The Continental American Insurance Company was purchased by Aflac in 2009. Since then, companies and individuals that purchase their primary health insurance policies from Aflac have been able to purchase supplementary insurance products from the Continental American Insurance Company. Customers have one year from the date that medical services were rendered to submit an insurance claim to the Continental American Insurance company. According to the official Continental American Health Insurance Company website, nearly all claims are processed within ten business days. The only reason that it will take longer for an insurance claim to be reviewed is if errors have been made by the customer, or if there are any applicable exclusions. In order to submit an insurance claim, Continental American Insurance Company customers will need to call the Claims Department phone number. A representative will instruct customers on what forms to submit along with the supporting documentation that is needed to process their claims. Depending on the type of policy that has been purchased and the nature of the claim submitted, customers will need to submit documents from their primary care physicians and possibly their employers. The Continental American Insurance Company has one main call center that is located in Columbia, South Carolina. Call center representatives are trained to handle insurance claim inquiries, pull up customer accounts and process payments. In order to update insurance policies, customers are required to submit a service request. This form can be found on the Continental American Insurance Company website, or a form can also be sent through the mail. Although the Continental American Insurance Company is now a subsidiary of Aflac, all inquiries still go through Continental American Insurance Company’s main officers. Customers can get in contact with an agent by calling 1-800-433-3036. The call center is open Monday through Friday during standard business operational hours. In addition, customers can get in contact with service representative through Continental American Insurance Company’s email address. The email address is [email protected]. The Continental American Insurance Company has an A+ rating with the Better Business Bureau. There have only been three complaints received in the last 3 years, with all of them being closed within a reasonable amount of time. 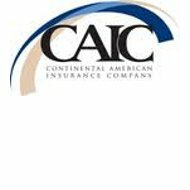 The Continental American Insurance Company has been accredited with the Better Business Bureau of Central South Carolina and Charleston since June of 2011. Based on consumer reviews of insurance policies underwritten by Continental American Insurance Company, the level of customer service received is excellent. In addition, the Continental American Insurance Company also offers fair rates. Although the time required to process claims can vary greatly, generally customers reported that Continental American Insurance Company approved claims and dispersed their funds into their bank accounts in a timely manner. There is little information on the Continental American Insurance Company website that tells interested parties on how they can request insurance quotes. A single entry directs consumers to the Continental American Health Insurance Company sales department. The main phone number listed on the company website can be used to get in contact with a customer service agent that will give customers more information on premiums, deductibles, and policy details. Submit your zip code to see real time health insurance quotes! Filed claim twice to be told never rec’d. Asked for a manager! Waited 16 min to be told she left her desk! No follow up! Keep getting the runaround! Very frustration! Believe I will look for a better company! I was turned down on three separate occasions. The first I understood. The critical care denial was listed as pre-existing as was the long term disability. How can one have a pre-existing condition if they have NEVER been treated for the critical care and disability issues? No wonder your company has such a bad reputation both by customers and health care professionals!!!!!! !